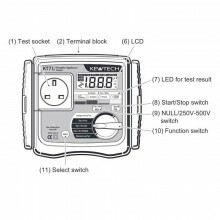 Includes: Mains Leads, Earth lead, Instruction Manual, Certificate of Conformity. The Kewtech KT71 is a hand-held portable appliance tester, performing four functions to ensure the Safety of Class I and Class II appliances. Readings are displayed on a large liquid crystal display (LCD) below which are four bicolour LEDs, which unambiguously display a pass or fail indication for results dictated by the IEE Code of Practice. 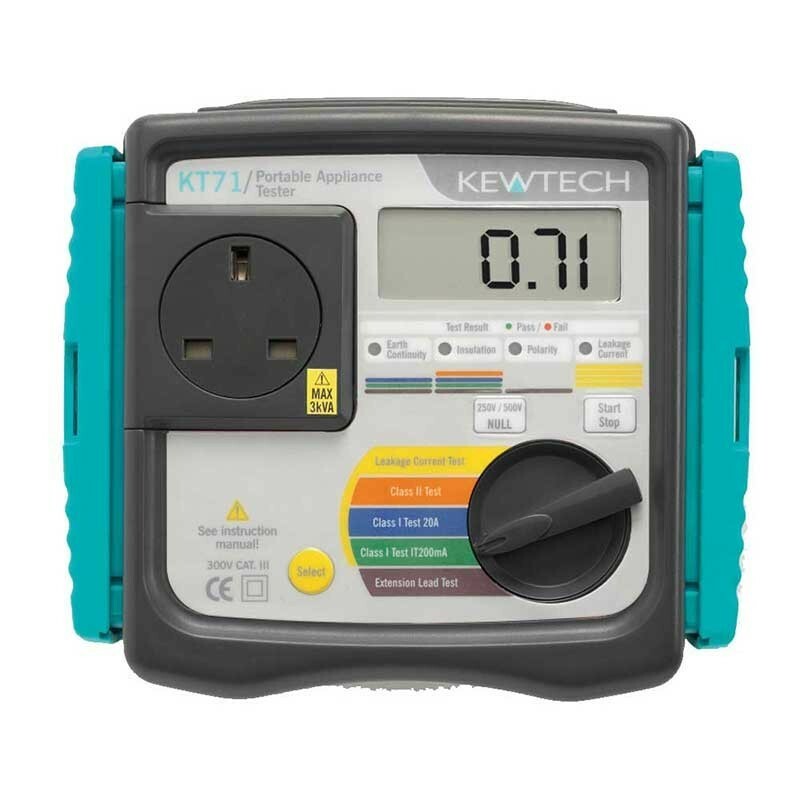 The KT71 has a dedicated cover to protect against an impact from the outside and to prevent the fascia, the LCD, and the connector socket from becoming dirty. The cover can be detached and put on the back side of the main body during measurement. 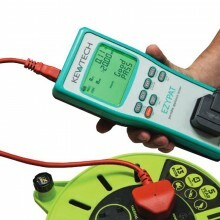 Performs Earth bond at 200mA for IT appliances and high current at 20A. 250V / 500V insulation test voltages. 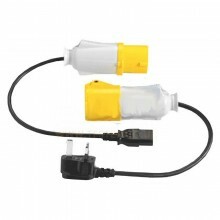 Run / leakage at 230V. Single rotary dial position initiates test sequence. 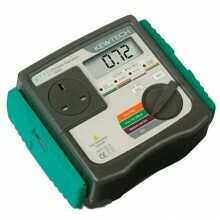 Test Function IT 200 mA Continuity Test 20 A Continuity Test. 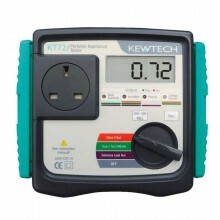 Measuring Range 0 to 15 Ω.
Open-Circuit Voltage 4 - 24 V.
Rating 250 V / 20 MΩ and 500 V / 20 M Ω. Rated Voltage 250 V/500 V DC(-0%/+30%) @250 kΩ/500 kΩ. Short-Circuit Current 2.5 mA DC or less. Dimensions 215(W) x 283(H) x 93(D) mm. 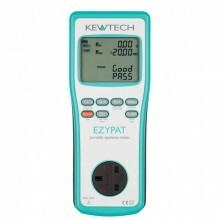 PDF Specifications of the Kewtech KT71 Manual PAT Tester.